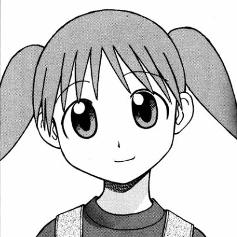 Now that I’ve seen part of the adorable anime series, I keep wondering what Kiyohiko Azuma’s manga Azumanga Daioh looks like (or, generally, how a yon-koma (4-panel strip) manga can be adapted into a continuous anime at all). This might be the next comic I’ll buy. 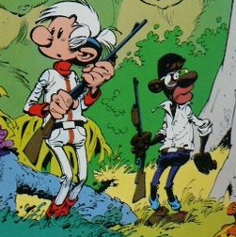 As a child I read a lot of Franco-Belgian humorous adventure comics, many of which I only borrowed from the library instead of buying them (or having them bought for me). One of these series was Les petits hommes by Pierre Seron. I vaguely remember that it wasn’t that great, but apparently there are many more albums in this series than I’ve actually read. Maybe I should give it a second chance. And that’s it. I almost managed to finish this ’30 day comic challenge’ in time. Looking back, I realise that this format has some issues, mainly because some of the items on the original “30 day song challenge” list don’t translate well into comics. Furthermore, the list items would be more interesting if they weren’t so personal – “a song that reminds you …”, “a song that makes you …” – because you can’t really argue about these things. Instead, I would have preferred less subjective and more absolute statements, e.g. “the longest song/comic you know”, or “the song/comic that best represents globalisation” (or what have you), “the song/comic with the most unexpected twist”, etc. Who knows, I might create my own “30 day comics challenge” one day. It’s getting harder and harder to come up with comic-related equivalents for these “30 day song challenge” items, but OK – suppose someone wanted to make a documentary about me, which comic should the camera focus on at least once? Apart from Akira, a suitable choice would be Shōtarō Ishinomori’s Japan Inc., both the English and the German edition of the first volume, as they exemplify what I do in my research. Comics can be enraging when they’re bad, but there’s another, good kind of anger that comics can instil: for instance, when acts of injustice are convincingly narrated, readers may sympathise with one character (the victim) and feel sorry for him or her, and become angry at another (the evildoer). Mark Millar is a writer who is particularly good at portraying the darker sides of human nature and eliciting strong emotions such as anger – e.g. in many scenes in The Ultimates, drawn by Bryan Hitch. 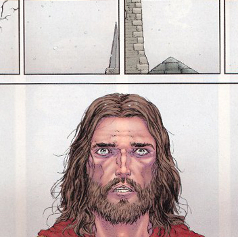 Currently I’m thrilled about The Multiversity: Pax Americana by Grant Morrison and Frank Quitely. I’m not giving away which other comic it is based on, though, in case this might still be a spoiler for anyone. For me it certainly was a major appeal to only gradually realise this while I was reading it. Paper Tiger Comix was an enjoyable, though rather short-lived, British underground anthology magazine. Highlights: the surreal, enigmatic multi-part “story” Pograzye 23 by Clive Scruton, and several short stories by Richard Cowdry, who is always brilliant. 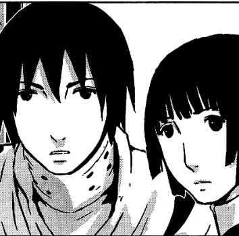 Tsutomu Nihei is one of my favourite comic creators, though I must say his current mecha space horror series Knights of Sidonia (already mentioned in a previous blog post) is his least interesting of those I’ve read so far – and at the same time probably his most successful, being adapted into an anime. Making fun of a comic is hardly ever an appropriate way of criticising it, but some comics almost ask for it. Mai, the Psychic Girl by Kazuya Kudō and Ryōichi Ikegami (blogged about a year ago) has many virtues, but also some rather ridiculous elements that one can’t help making fun of, e.g. the name of the German antagonist – “Turm Garten” (literally “tower garden”). Several ex-girlfriends kindly gave me comics as presents. 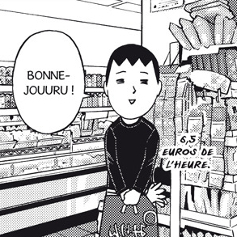 I’ve blogged about one of these comics: Paris aishiteruze (À Nous Deux, Paris!) by J. P. Nishi. 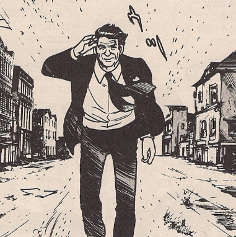 I hardly ever blog about French-language comics, so some people might think I don’t like them. But I do, actually – Donjon by Lewis Trondheim and Joann Sfar, for instance, is even on my top 10 favourite comics list. Civil War by Mark Millar and Steve McNiven was the first comic I’ve written about in a scholarly article, so naturally this comic has a lot of meaning to me. Comics can be annoying in a lot of different ways. It’s annoying when you have wasted time reading a comic you don’t like, or wasted money purchasing a copy. It’s annoying when other people or advertisements tell you how great a certain comic is, when you have already found out you don’t like it. 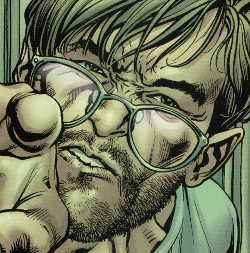 Rather than merely being disappointed with a comic that you’ve read once and tossed away for good, however, annoyance is more of a perpetual nuisance: an annoying comic just keeps popping up and demanding your attention. For the last couple of months, Hajime Isayama’s Shingeki no Kyojin a.k.a. Attack on Titan has been that annoying comic for me. Although no one could possibly expect this manga to live up to the enourmous hype surrounding it, one is at the same time tempted to think, “millions of readers can’t be wrong, right?”. So I thought I’d give this series a chance and at least read the first volume. I did, and annoyed I was. With other best-selling shōnen manga, I can at least understand why other people like it, even though I don’t like them much myself: One Piece is genuinely funny, Naruto is well drawn – but Shingeki no Kyojin is neither, nor has it any other redeeming qualities. Still, now that the live-action film adaptation is around the corner, there seems to be no end to the hype. My computer desktops still have their standard operating system images, but the other day I was tempted for a moment to change that when a nice wallpaper image of Kozue Chiba’s Koi toka, kiss toka, karada toka was posted on I Love Shojo (see also my blogpost about ILS). Then again, I haven’t read this manga yet, and I didn’t even like Kozue Chiba’s Crayon Days much (see my short review), so ultimately I left my desktops as they were. Katsuhiro Ōtomo’s Akira will probably play an important part in the PhD thesis I’m writing, so I currently spend more time reading this comic (and reading about it) than any other. Robin Vehrs posted a few more Enjambements episodes after the first book came out (reviewed here), so I’m hoping there will be a second collected volume someday. I’m not sure how the hypothetical bride would feel about this, but Action Comics #1 would certainly make a nice wedding present. On the other hand, it may be a bit too long to be read at the wedding right away. So how about a 1986 Sunday strip of Calvin & Hobbes, watercoloured by Bill Watterson himself, instead?